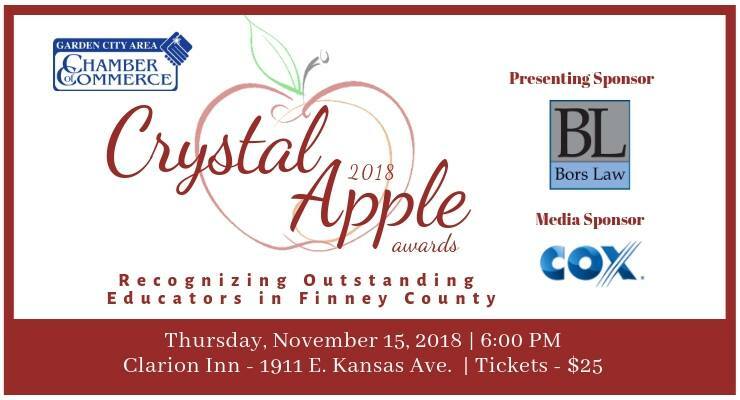 The Crystal Apple Awards Banquet will be held on Thursday, November 15th inside the Clarion Inn, 1911 E. Kansas Ave. Tickets are $25 each and are available at the Chamber office – 1509 E. Fulton Terrace or online at www.gardencitychamber.net. The six finalists receive recognition at the Crystal Apple Recognition Banquet. 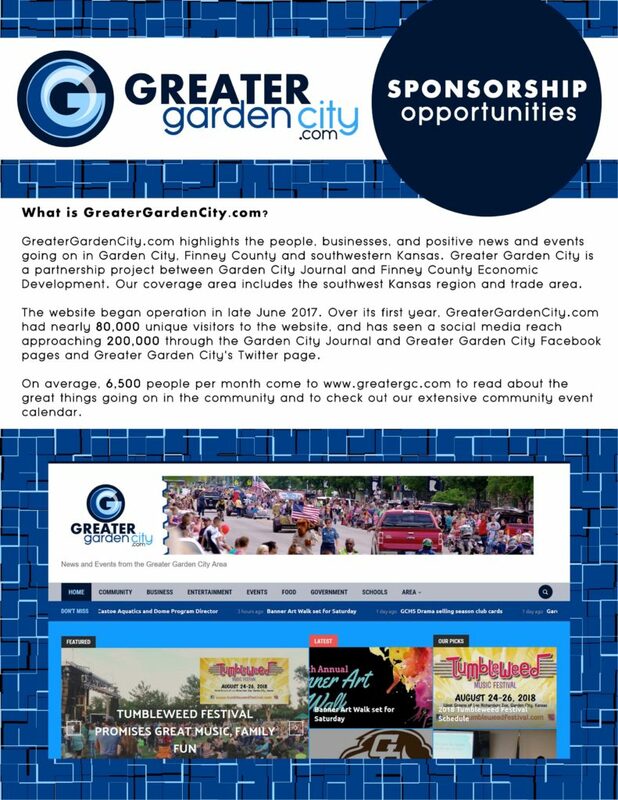 The three award recipients each receive a certificate, engraved crystal apple award, an iPad, courtesy of COX Communications, and $1,000 check. The three remaining finalists receive awards of a certificate and $250 each.